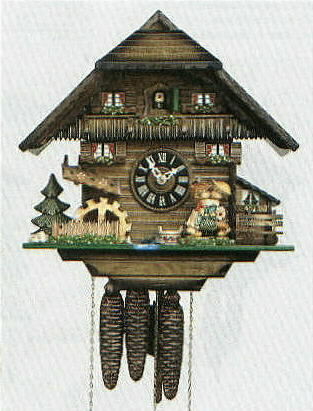 Cuckoo clocks come in a variety of sizes and with a variety of options. 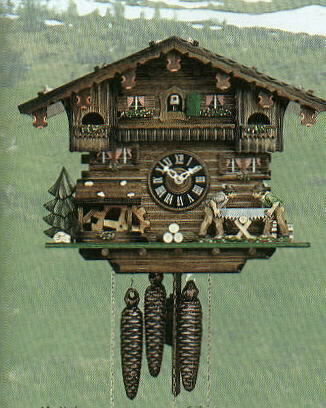 The cuckoo counts out the hours with a single cuckoo on the half hours. All new cuckoos come with a silence lever which allows the clock to run but keeps the cuckoo quiet. 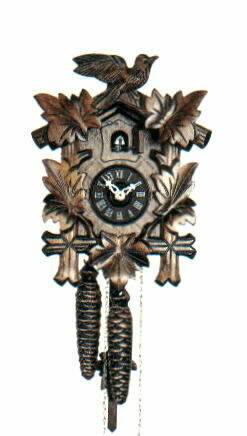 Some have musical movements that play a melody after the cuckoo is finished. All cuckoos are imported from Germany.